The Asian Human Rights Commission has been informed that an indigenous Papuan was illegally arrested, detained and tortured in July after he was taken into custody by the airport security unit of the police in Wamena town. During his assault he was ordered to confess to the killing of five Javanese Indonesians, however the arrest was later acknowledged to be a mistake and he was released after three days. The victim was hospitalised for his injuries, yet no investigation has been carried out and no compensation offered. According to a local human rights organisation, on 23 July 2009 Mr. Kiten Tabuni, 23, was driving a public bus along Yebe-wenas street in Wamena at around at 2pm, heading to Bolakme, when police officers in a patrol car ordered him to stop. An officer told him that police from the Jayawijaya sector headquarters had been looking for him, but would not explain why. Tabuni was taken to the KP3 airport security unit and illegally detained after being informally accused of taking part in the murder of five Javanese persons in earlier in the month. The officers allegedly beat Tabuni badly to force a confession, using their fists, regulation weapons and helmets, and kicking him around his face, head, and legs. His relatives were not informed of his detention; they assumed that he had been working regularly and heard the news two days later from eye witnesses. On Monday 24 July his family went to the Jayawijaya police sector headquarters in Wamena, along with staff from a local human rights organisation, to check on his condition. They were told by the chief police officer that Tabuni had been arrested by the KP3 airport police, but the chief at the headquarters eventually contacted the KP3 security unit on behalf of the family and received confirmation. A day later the headquarters produced a formal letter of arrest. However when the headquarter chief sent for the victim, to check his identity and investigate the charges against him, it was quickly discovered that there were no credible details linking the man to the crime. The chief officer apologised to the victims family and he was released. Tabuni needed eight days of treatment at the Public Hospital of Wamena (Rumah Sakit Umum), and his medical report noted that he suffer from headaches and aches relating to his beatings in custody. However the family of the victim has not been able to get a copy of this report to pursue compensation, which according to international law (in Article 14 of the convention against torture, and Articles 2 (3) and 9 (5) of the International Covenant on Civil and Political Rights) they are fully entitled to. On a national level, the right of equality before the law is protected by the 1945 constitution, particularly article 28D paragraph 1, article 28G paragraph 2 (regarding the right to freedom from torture); and also national law No. 39/1999, especially article 18 paragraph 1 (which deals with the presumption of innocence). Since Indonesia assumed sovereignty of the western part of the Papua through a much-contested UN supervised referendum in 1963 (often referred to by Papuans as ‘the Act of No Choice’), native Papuans have faced systematic racial discrimination and been targets for military and police violence. Their freedom of political expression is heavily restricted, as seen in past AHRC documented cases of political prisoners like Buktar Tabuni Yusak Pakage, Fhilip Karma and others. The AHRC has campaigned for student leader and activist Buktar Tabuni since December 10, 2008, when he was charged with treason, see: UAC-262-2008 and UAC-014-2009. (He is currently facing trial at Jayapura District Court, the main charge against him is under article no.106 of the Indonesian Penal Code, which in effect criminalises the expression of certain political opinions). Papuans making use of their right to demonstrate are regularly faced with the arbitrary use of fire arms and violence, as the killing of Opinus Tabuni shows (see UAC-152-2009). Since such incidents, along with the use of torture and murder in custody, go regularly unpunished, they continue to occur. Impunity is common for officers who commit atrocities. This case of torture shows the level of professional conduct of the police in West Papua, who can flout laws and regulations to fill quotas and present results. The AHRC is aware of many cases in which personas have been arrested and beaten for a connection with independence movements, such as the Free Papua Movement (OPM), but many are cases of mistaken identity. As such the police are mistaking their role for a judicial one, yet the issue receives little attention and limits the access of indigenous Papuans to justice. Indonesia has ratified the International Covenant on Civil and Political Rights (ICCPR) and the Convention against Torture and Other Cruel, Inhuman or Degrading Treatment or Punishment (CAT), according to which Indonesia must fully criminalise the act of torture. Until now, Indonesia has failed to comply with these international obligations and continues to let torture go unpunished in Indonesia. 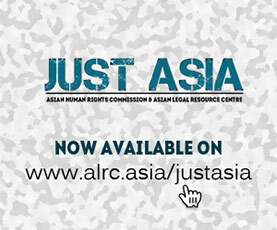 Find out more about torture in Indonesia on our website campaign to criminilise it. Please write to the local authorities listed below to demand that the policemen involved face appropriate disciplinary sanctions and a criminal investigation. The victim must also be granted compensation. Name of the victim: Mr. Kiten Tabuni 23; indigineous Papuan. I am writing to voice my deep concern regarding the illegal arrest of a man, who was tortured and detained on 23 July, 2009. Kiten Tabuni was illegally arrested from a public bus along Yebe-wenas street in Wamena by the KP3 Head of Security Implementation Airport police in Wamena, during which he was a victim of assault. He was reportedly badly beaten to make him confess to killing five Javanese Indonesians in July, 2009. However after the intervention of the victim’s family, human rights organisation staff and a chief officer of Jayawijaya police sector headquarters three days later, Mr. Tabuni’s captors decided that they had arrested the wrong person, and that there was no evidence to link him to the crime. He was admitted to the Public Hospital of Wamena (Rumah Sakit Umum) where his medical report notes several injuries, though he has been unable to obtain a copy from the hospital to file for compensation. This case is yet another example of what happens when an interrogation system is neither transparent nor monitored by an institution with the power to ensure that due process is respected. It also shows the degenerative effects of this, and the way that impunity can spread throughout law enforcers in a region. Human rights violations by the police are deeply institutionalized in Papua generally. This is despite the Indonesian Governments ratification of the United Nations Convention Against Torture (CAT), which has begun to appear increasingly meaningless. I take this opportunity to draw your attention to the fact that government officials have received lenient punishments in many cases where they are involved in Papua, in particular the case of Against Torture (CAT). The family of the victim is entitled to compensation, according to domestic and international law and I demand that the policemen involved face appropriate disciplinary sanctions and a criminal investigation. Please also ensure that the Rumah Sakit Umum promptly produce a legitimate medical report for Mr. Tabuni, and remind staff of their responsibility to do so in the future.